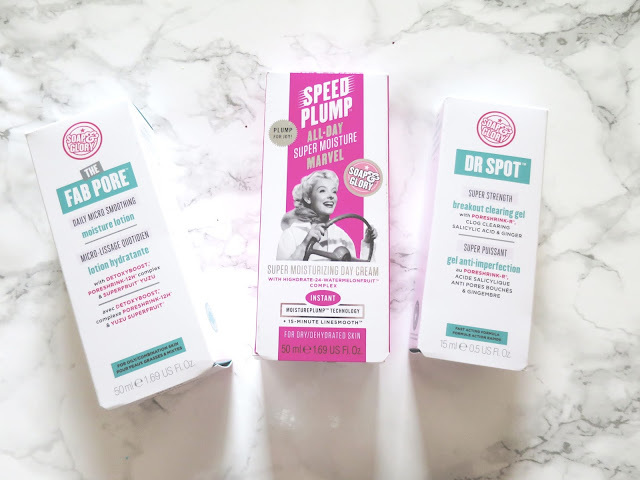 I've previously done a post on Soap and Glory make-up and it went down so well I decided to do another post based around Soap and Glory but this time on their skincare. 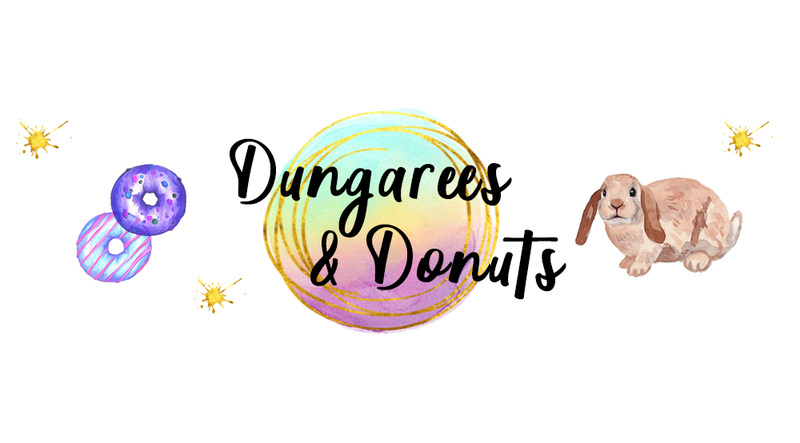 For the price their skincare costs it's insanely good and I thought you might all enjoy a bit of a write up on the three products which I've been using as part of my everyday routine. I totally will be trying out more of their face products in the near future so if you fancy me writing about them do let me know. 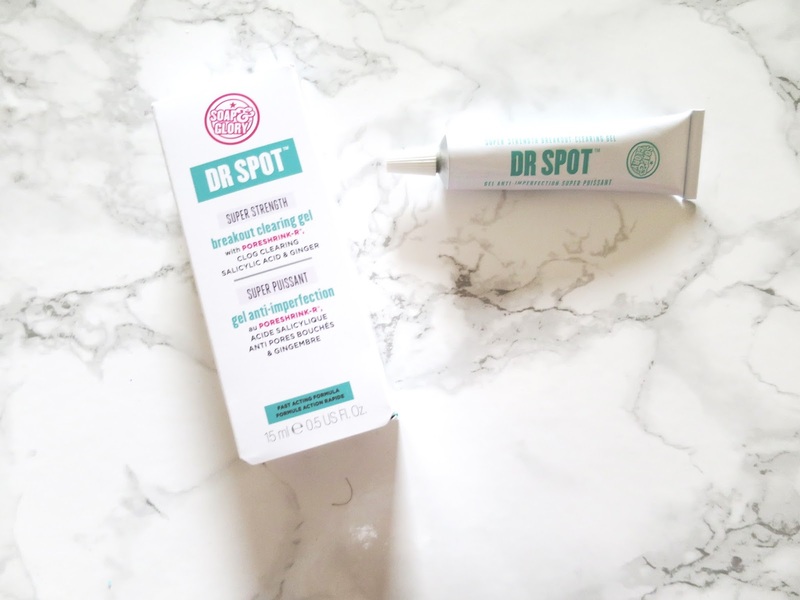 With acne pretty much over both of my cheeks and almost constantly I thought I'd give Dr Spot a go and see what it would do for my skin. For £8 I thought it was worth a gamble on as most spot products cost around that anyways. Using this gel twice for two weeks I've seen great results, the first thing I noticed though was the redness in my spots had gone down dramatically from being seriously red to barely red at all. Dr Spot also took down the sore huge spots and although some of them are still there it totally took away the size of them and removed a lot of the smaller ones, another thing I noticed with this product is that it isn't too drying on the skin, I've found with a lot of spot creams is that they leave my skin sore and dry which almost isn't even worth using the product in the first place but I didn't find this with this product. The only thing I found was the initial stinging when applied but this is very normal as some spots can be open wounds and it is going to sting applying gel to them. This last year I've seriously gotten into my skin care and have gone from not doing anything to doing everything which has given me massive confidence in my skin and a lot happier skin too. I have been using a variety of moisturisers from Vichy to Simple and it's hard for me to find one that I get on with well, I often find them irritating my skin more than anything. This comes in at £13.00 a bottle so not super cheap but still a fairly reasonable price as I've paid up to £50.00 in the past, so this is cheap in comparison. The claims are to give you firmer and brighter skin and be fabulous base for makeup so I did test out these claims. 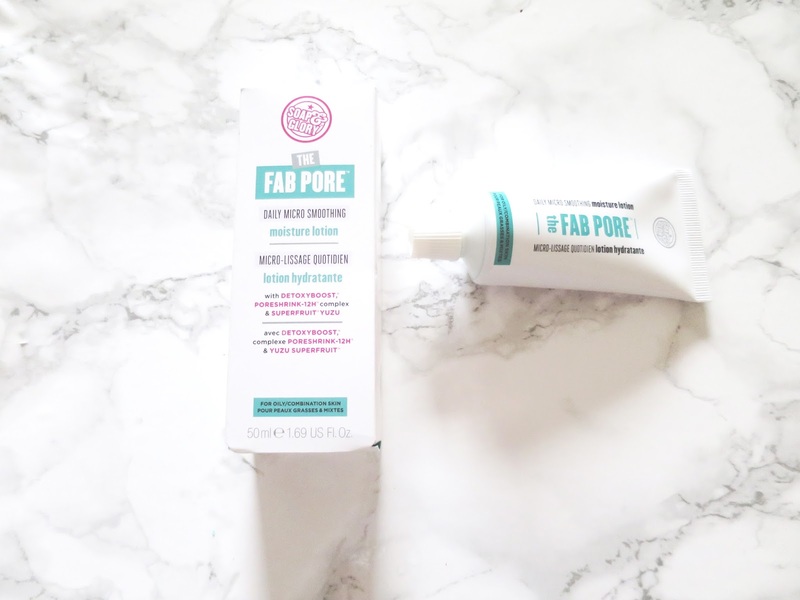 After using it twice a day daily for two weeks I have started to see a difference in my skin, it feels softer and looks a lot more healthy which is fabulous for me, along with my massive increase of drinking water I feel a huge improvement. As far as the base goes I won't be giving up my trusty primer but it works to keep foundation in place for a while. I am in love with this product, I have to say it. It works wonders on minimizing your pores especially those who suffer with large ones. It also helps to keep skin less oily and also helps get rid of those pesky spots AND is also a moisturising lotion! A lot for one product right? Costing £12.00 I think it's a great price for those products which are an alternative and cost way more. I am in love with the simplicity of the packaging as it makes you feel clean and also like the product is more expensive than what it is. I didn't notice as many results as the other two but as far as my pores go, they are a lot smaller and it looks a lot better. I love the fab pore I use it every morning! I usually buy it when there's an offer on so its not quite as expensive! 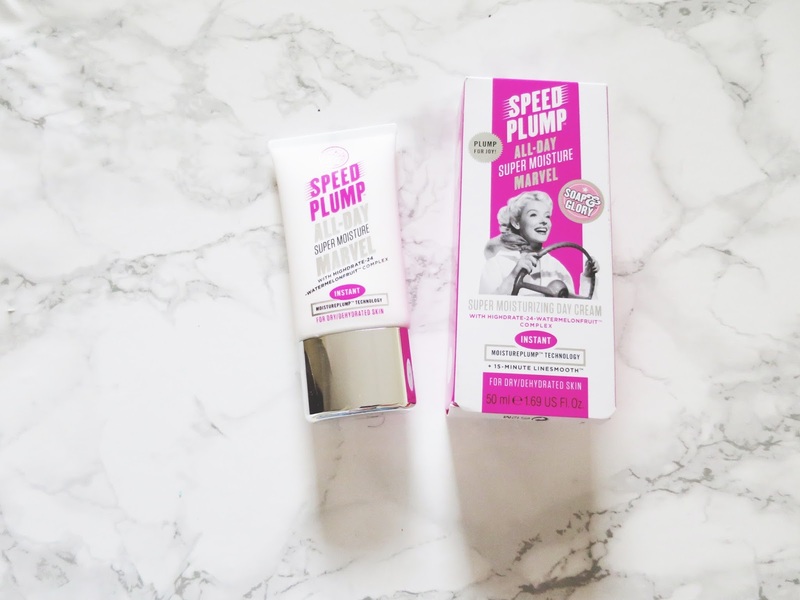 Dr Spot is AMAZING I love Soap & Glory Skincare products.